Roche’s molecular information firm Foundation Medicine has secured approval from the US Food and Drug Administration (FDA) for FoundationOne CDx comprehensive companion diagnostic assay for personalised oncology care. Claimed to be the first FDA-approved pan-tumour comprehensive companion diagnostic assay, FoundationOne CDx can evaluate all four classes of genomic alterations in 324 genes that support cancer growth. The assay will allow to identify patients with advanced cancer who can respond to targeted therapies. It will also help to report genomic signatures such as including microsatellite instability (MSI) and tumour mutational burden (TMB). 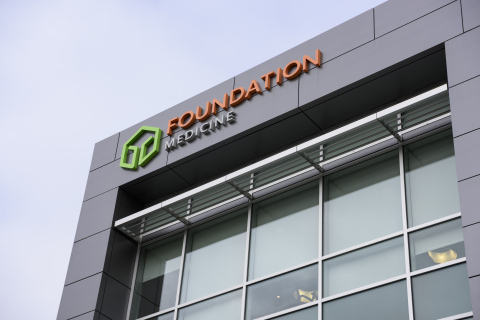 FoundationOne CDx will serve as next generation sequencing (NGS)-based companion diagnostic for Alecensa (alectinib), which secured FDA approval as monotherapy to treat people with anaplastic lymphoma kinase (ALK)-positive metastatic non-small cell lung cancer (NSCLC). It can be used a comprehensive companion diagnostic for patients with certain types of NSCLC, melanoma, colorectal cancer, ovarian cancer or breast cancer to treat with one of 17 targeted therapies following the detection of alterations in the EGFR, ALK, BRAF, ERBB2, KRAS, NRAS, and BRCA1/2 genes. FoundationOne CDx can detect base substitutions, insertion and deletion alterations (indels), copy number alterations (CNAs) and select gene rearrangements in 324 genes. It will also b used for the detection of genomic signatures such as MSI and TMB through using DNA isolated from formalin-fixed paraffin embedded (FFPE) tumour tissue specimens. Image: Foundation Medicine is headquartered in Cambridge, Massachusetts. Photo: courtesy of Business Wire.